It’s that time of the year when Apple give us a new version of iOS for the iPhone and iPad, and also sometimes releases a new version of MacOS, the operating system for their laptops and desktops. 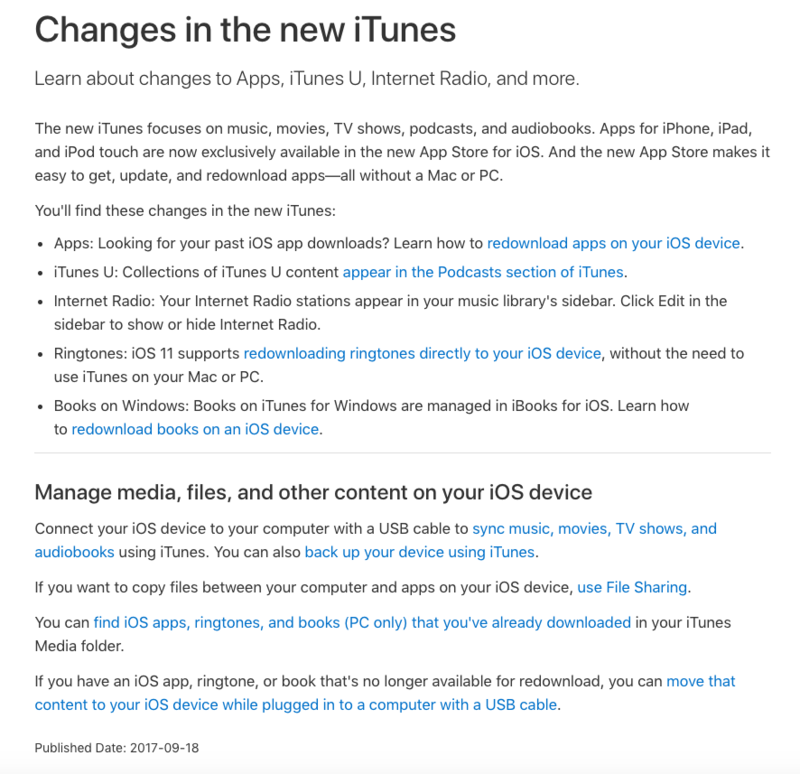 A few other things creep in such as this “upgrade” – more like a wholesale change – to iTunes which may impact upon your use of your iPhone/iPad. I’m honestly not sure what difference it will mean to me, or to anyone else, but just alerting you to the fact that if you have automatic updates on for iTunes that things might not be the same as they were. That’s why I don’t allow automatic updates. I want to hear from other people about the impact of an upgrade, and for the software developer to release a couple of “bug fixes” before I do the upgrade manually, in my own time, and hopefully better informed and aware. In the case of this one, I did the manual upgrade, as I didn’t think it would impact upon me too much and then spent a lot of the rest of the day sorting out my iTunes Library. I know my setup is a little complex – I’ll share that story with you another time – but iTunes must be my most hated piece of software. I just wish they would re-write it from the bottom up and get their database functionally correct and usable.